At my monthly plasma donation this afternoon they went to put blue wrap around my arm just before I was done. “You don’t have any green wrap do you?”, I asked. They did. So that’s what I got. 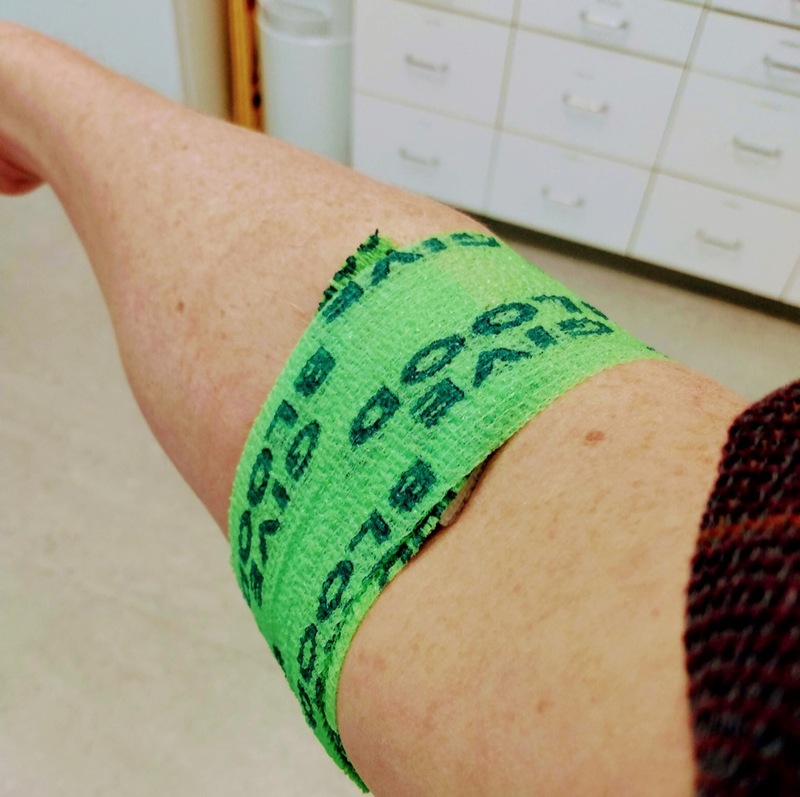 It was a very Green donation otherwise: the man at the bed next to me was sporting a Peter Bevan-Baker button, and my nurse mentioned that he sister lives on the same street as Karla Bernard and has a Green sign-making operation in her garage. Written April 11, 2019 at 2:33 p.m.